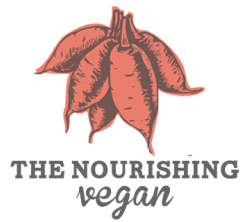 The Nourishing Vegan offers an assortment of private virtual cooking classes. These are perfect for individuals who do not live in NYC, who would like to learn healthy vegan cooking in their own home. Virtual cooking classes are conducted on Skype or Google Video Chat. All you need is a computer with a good camera, and large enough screen to see me. Below you will find samples of classes! Prices start at $150. Menus change often due to availability of seasonal produce.